Nothing compares to solid wood construction and quality, so rest assured this bed will last. It even includes side safety rails so your little one won't fall out of bed in the night. In addition, the perfect height of 26.5 inches ensures easy in and out and more peace of mind for you. All necessary tools are included for easy assembly. Accommodates a standard crib mattress, not included. 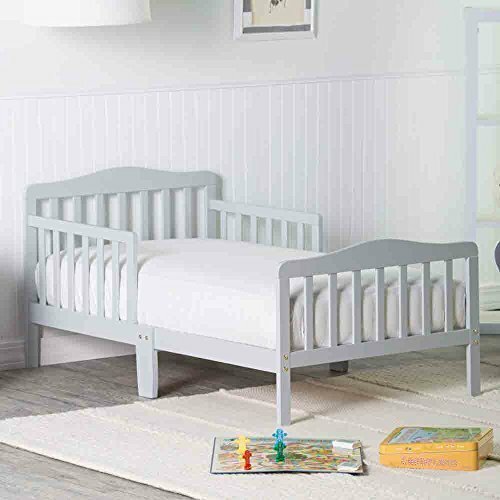 Make the transition smooth and beautiful with the Orbelle Toddler Bed. Manufacturer: Orbelle Trading Co., Inc. Publisher: Orbelle Trading Co., Inc. Studio: Orbelle Trading Co., Inc. If you have any questions about this product by Mom'sShop, contact us by completing and submitting the form below. If you are looking for a specif part number, please include it with your message.